If you’re like me, THE BEST gifts are ones that belong in the kitchen! 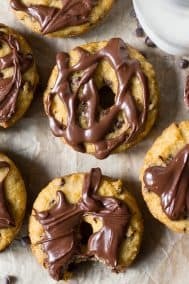 Which is why I went all out with this ultimate gift guide for foodies – the paleo ones and the not-paleo ones, we aren’t discriminating here! 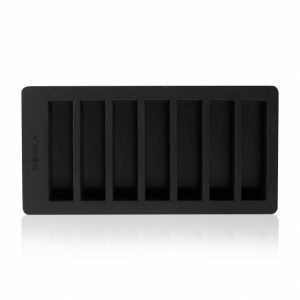 From the best kitchen gadgets to cookware, bakeware, and fun stocking stuffers, you’ll find all the good stuff in this guide. 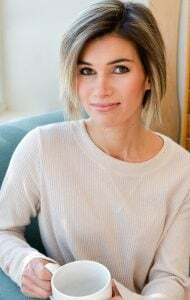 Many of the items are ones I use and love, others are on my wish-list in a big way! Show the foodie in your life (and yourself!) 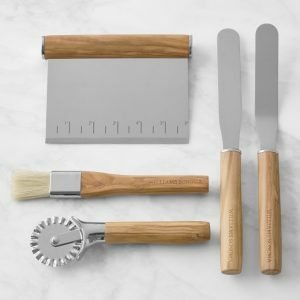 some love this holiday season with a gift (or two) that will become a beloved kitchen companion! 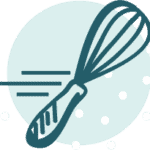 Happy cooking, baking, and eating! 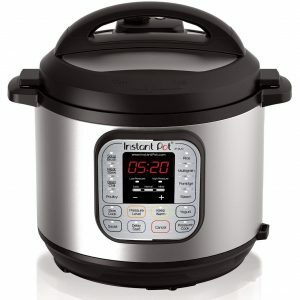 You all know I’m a big fan of my Instant Pot and it deserves every bit of the hype! It can brown and pressure cook at the same time, which makes it a truly one-pot wonder. The 6-qt. version above is the one I have, but you can also go big with this 9-in-1 8 qt. model. 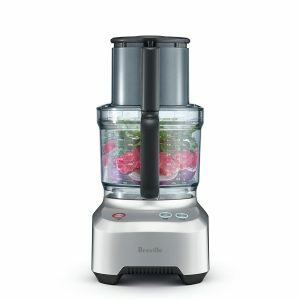 A good food processor that can do it all is essential if you love cooking and baking. 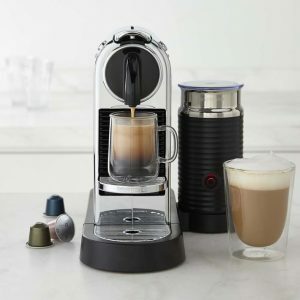 This 12 cup one from Breville is top rated and on my wish list this year! 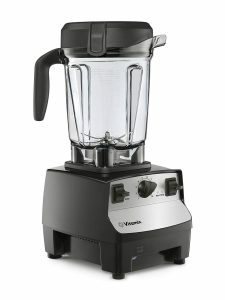 I own this refurbished Vitamix and it’s definitely a rockstar blender that’s much more budget friendly than a brand new one. From soups to smoothies to vegan cheesecakes, this blender has all the smooth moves you need. The new version is of course amazing too! 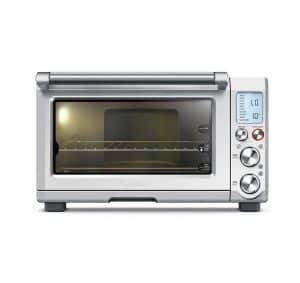 I bought this rockstar toaster oven at the start of our kitchen renovation and 100% fell in love – it does everything an oven can do! 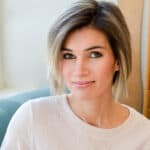 So many of my readers have gotten me excited about trying out an air fryer – and now this one is on my wish list! 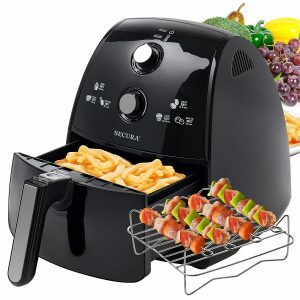 Any healthy foodie would have a blast trying out their favorite recipes with this! 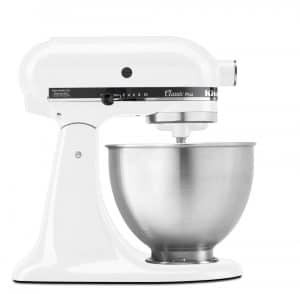 A classic stand mixer needs to be in every foodie’s kitchen! While there are fancier mixers, I still love my original! Shredding and slicing and even meat grinding is made easy with this attachment pack! Attachments fit any KitchenAid stand mixer. 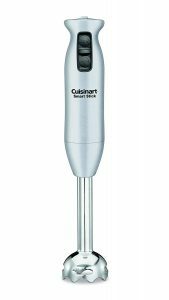 I couldn’t live without my immersion blender. From homemade mayo to creamy soups right in the pot, this little blender always has my back! This one is a major wish-list item for my newly renovated kitchen! More budget friendly than many and highly rated. 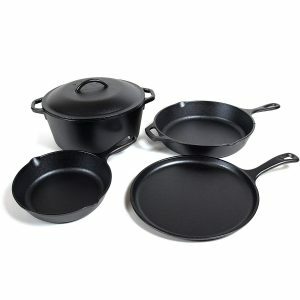 I’ve been a fan of Lodge skillets and cookware since I first started eating paleo. 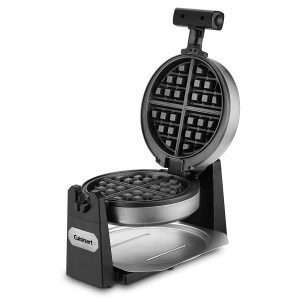 I love them for basically anything, BUT they’re especially great for making my breakfast hashes and skillet cookies! 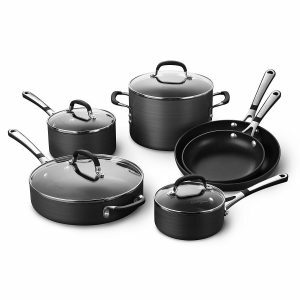 For reliable nonstick cooking, my calphalon skillets are always my go-to! 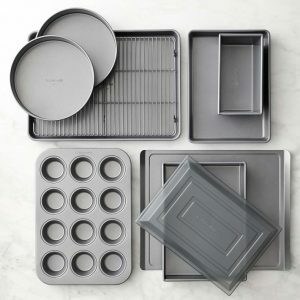 This 10 piece set has everything you need, including tempered glass lids. 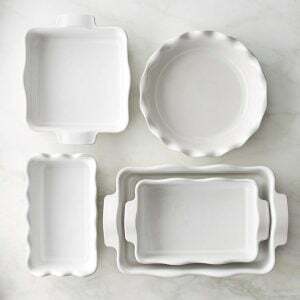 I have a total kitchen-crush on ruffled baking dishes! 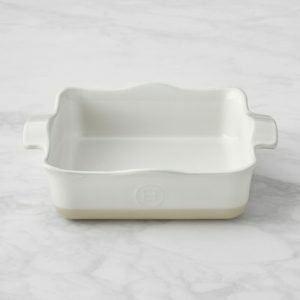 This one is gorgeous and great for smaller casseroles and side dishes. If you want to go all-out ruffled, this 5-piece set would be an absolute dream gift! This set has everything you need to bake all the things! High quality, non-stick, and dishwasher safe, too. The white one is on my wish list! 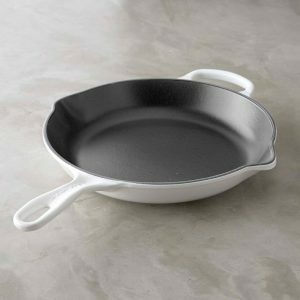 This heavyweight frying pan can cook anything and it comes in so many fun colors, making it perfect for gifting! 7. 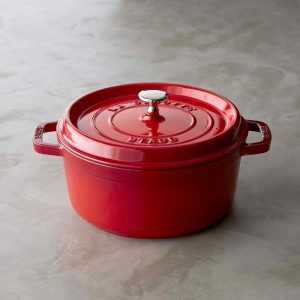 Staub Cast-Iron Dutch Oven, 4 Qt. This one is almost TOO pretty to cook in! 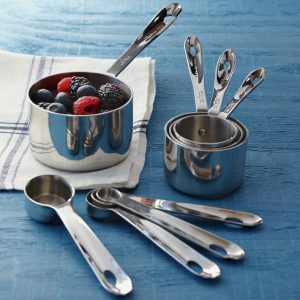 Comes in several colors and is perfect for soups, chili, stews and more. 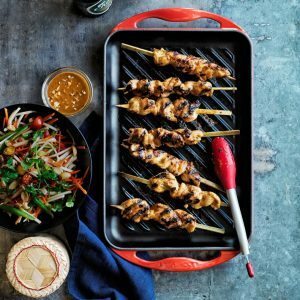 Indoor grilling is a must! 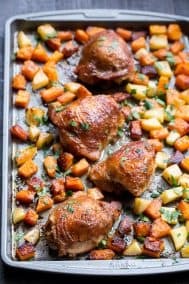 You can use this one over a burner on the stovetop, under the broiler, OR over the grill outdoors. 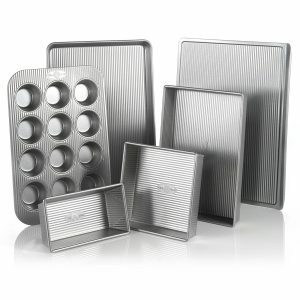 I personally love the look and quality of this bakeware and bake almost all my banana breads and bars in the loaf pan and square pan! For the love of a perfectly poached egg on everything! 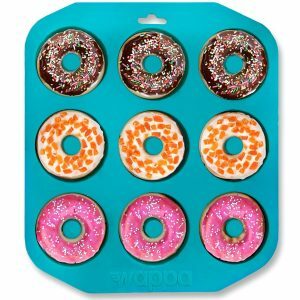 Donuts pans are just plain fun! 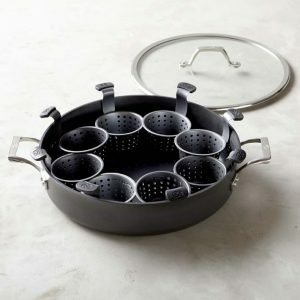 Plus, you can pretty much make any of my muffin recipes in one of these pans. 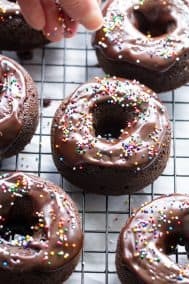 Or, try out my chocolate frosted chocolate donuts! 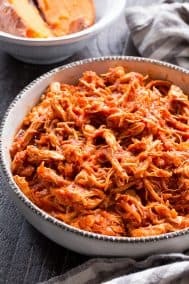 The best spiralizer I’ve tried! It tackles sweet potatoes and butternut squash like a champ. This veggie chopper makes salsa and chopped salads a breeze! These skillets are seriously the best for making skillet cookies and brownies! I love the 6.5 ones especially. Because making chocolate is just awesome all around! I seriously can’t ever have enough of these! 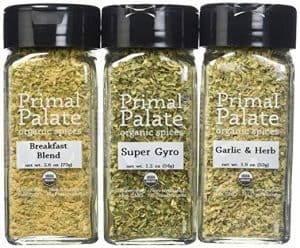 An awesome stocking stuffer for anyone who loves to cook. 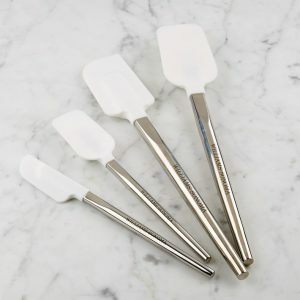 Love the look and function of these measuring cups and spoons for baking all your favorites. 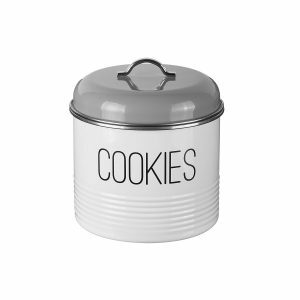 I think these canisters are just the cutest! These are the best when you need to pit tons of cherries or olives. After getting mine last year I can’t live without it! 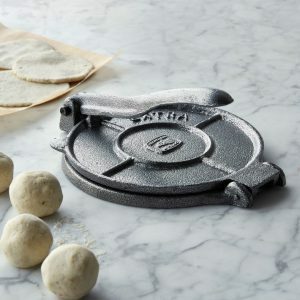 This cast-iron tortilla press might be a touch too heavy for a Christmas stocking but it’s a FUN foodie gift all around. Makes it super easy to create your own from-scratch tortillas! This simple gadget allows you to make perfect to tostones (twice fried plantains) every time. 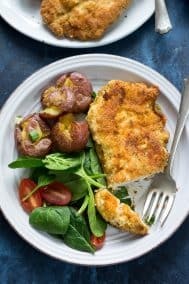 If you’re a Whole30’er and/or a plantain lover – this is just THE BEST! 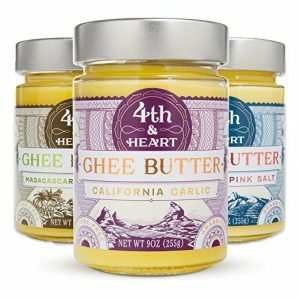 My favorite ghee and these flavors are seriously uh-mazing! The vanilla flavor is out of this world, but I love all of them! This paleo friendly dark chocolate is soy-free, dairy-free, and sweetened with unrefined coconut sugar. 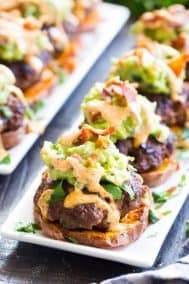 Plus, it’s DELISH! 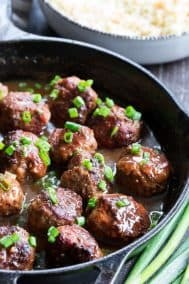 My favorite for cooking AND sipping. 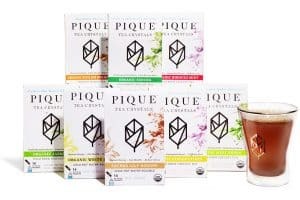 Delicious teas that can be made hot or cold that actually help you maintain a healthy gut flora. 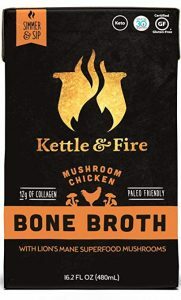 I swear by this collagen and use it in my coffee every morning. Flavorless and blends right into hot or cold beverages and smoothies! 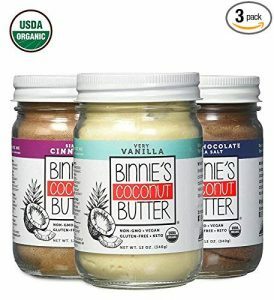 I literally LOVE every single one that I’ve tried, and I’m full on obsessed with the breakfast blend!